We know that choosing an orthodontist is a very personal decision. Orthodontic treatment is a long-term, ongoing process. Knowing this, we strive to make your orthodontic treatment in our office a positive experience. We believe that the "customer always comes first!" We provide our patients with the highest quality orthodontic care in a personal, professional environment. Getting to know you and meeting your individual orthodontic needs are our foremost concerns. 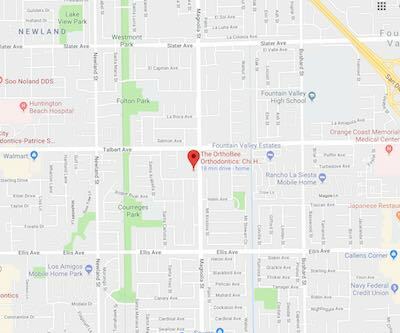 We have one office location and one orthodontist. You can count on Dr. Bui's personal attention at every appointment! 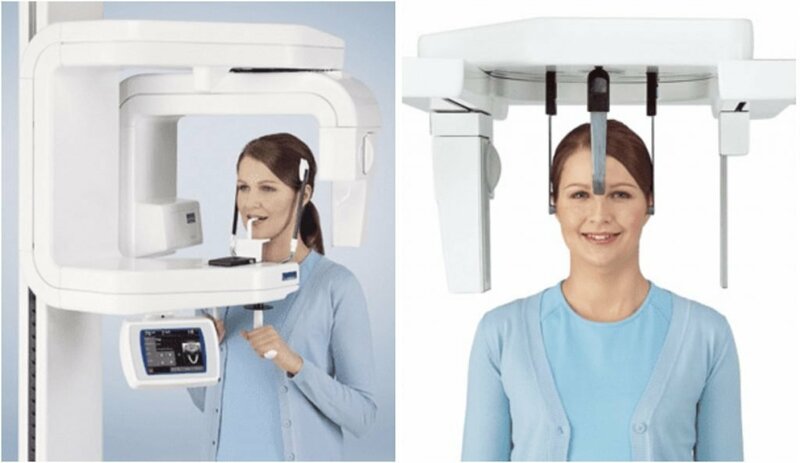 Our office is technologically advanced in the field of orthodontics. We offer not only digital photographs, records and models, but also digital X-rays. Digital X-rays produce 80% less radiation that the traditional variety. Our office is nearly paperless, allowing us to provide our patients with faster and more efficient service. Treatment is much more gentle — your teeth don't get as sore! Treatment time can be much shorter. Appointments are typically 8 weeks or more apart — this means you miss less school! Each appointment is easier and quicker. We have clear and invisible braces available. When the braces come off, our patients have the option to receive invisible retainers or fixed (permanent) retainers. These retainers are custom designed to fit only your beautiful new smile. The American Board of Orthodontics (ABO), founded in 1929, is the oldest and most prestigious specialty board in dentistry. It is the only orthodontic specialty board recognized by the American Dental Association. 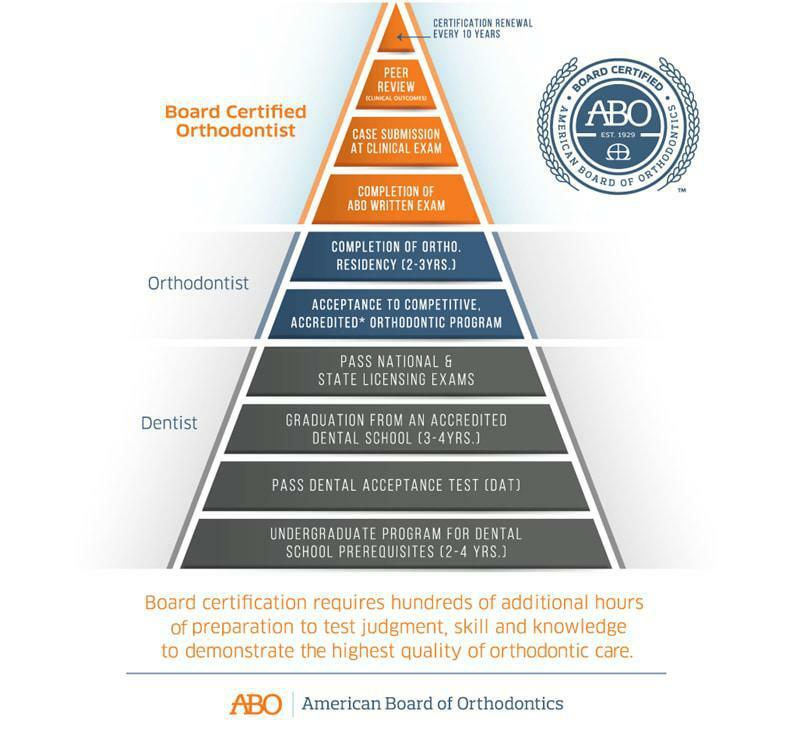 The ABO's goal is to elevate the standards of orthodontic practice and to protect the public against irresponsible and unqualified practitioners. ▸ What is a board certified orthodontist? To become board certified, an orthodontist voluntarily goes through hundreds of additional hours of preparation to demonstrate his/her judgment, skills and knowledge required for providing the highest level of patient care. An orthodontist is a dentist who has not only completed a graduate program in dentistry to receive a DDS or DMD (dental degree) but has also gone through a competitive residency at for an additional 2-3 years to be trained specifically in orthodontics and dentofacial orthopedics. Furthermore, board-certified orthodontists must renew their certification every 10 years to demonstrate their continued commitment to excellence. Achieving board certification is the last step in a long and intensive educational experience to ultimately provide excellent patient care. 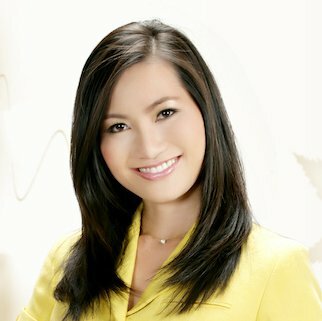 Dr. Bui was one of the youngest orthodontists to become board-certified and has recently renewed her board-certification, demonstrating her commitment to providing the highest standard of care. ▸ Why choose a board certified orthodontist? Orthodontics is more than just straightening teeth. Orthodontists understand the complexity of growth development and facial form. Treatment plans include issues related to the jaw and bite, not just movement of teeth. There’s a reason orthodontists go to additional years of highly competitive orthodontic school – to learn and perfect their ability in the specialty. A general dentist is ideal for providing regular oral health checkups, comparable to your family doctor. Many dentists offer orthodontic treatment plans but have not been trained or educated in the area. Dr. Bui proudly supports our local community by sponsoring sports teams, dance academies, anti-bullying campaigns and various charity events. 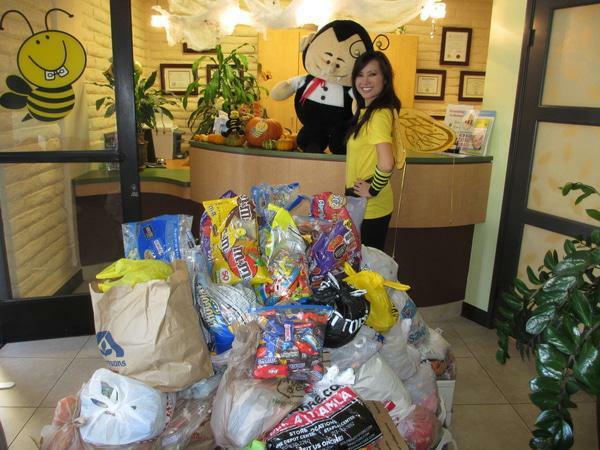 She hosts the annual Halloween candy buy back event to help the local PTAs and sends care packages (which include the candy and dental care products) to our troops aboard. Dr. Bui is as passionate about helping animals as she is about people; she donates her time and money to the Orange County Humane Society. We are proud to support our local heroes and offer a special discount to all active duty military, firemen and policemen. For me, there’s nothing more fulfilling than helping my patients attain a healthy, beautiful smile and seeing their self-confidence blossom. 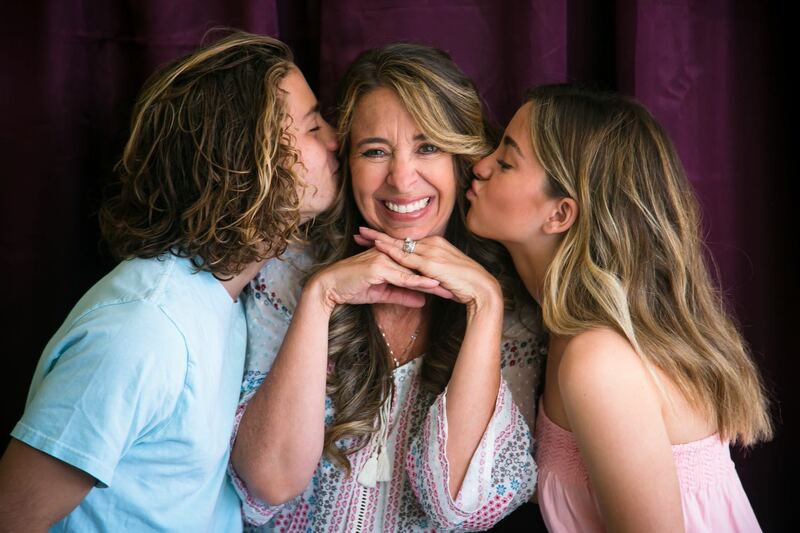 I love getting to know each person who sits in my chair, and I want your experience at The OrthoBee Orthodontics to be both comfortable and rewarding.